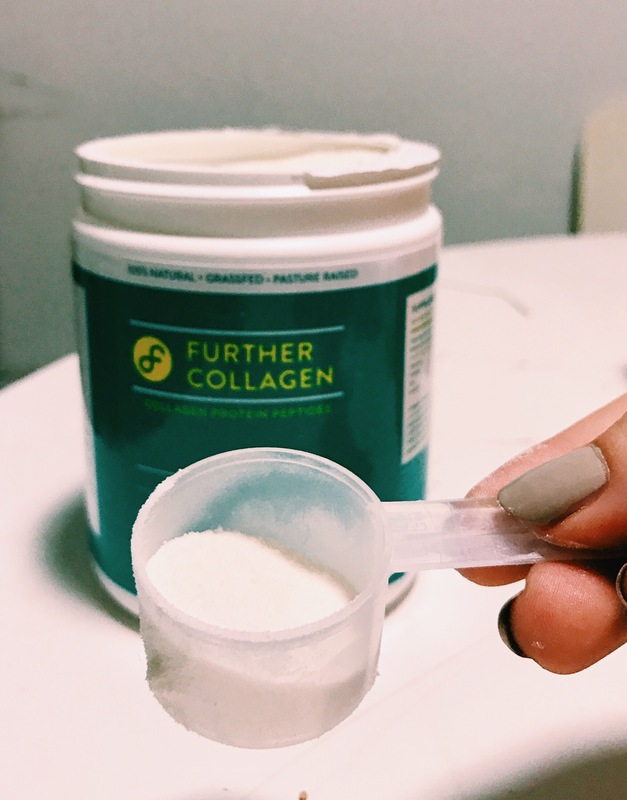 Lately I have seen so many up and coming trends of people using Collagen protein supplements to add to their daily routines. I have been super interested in trying it and experiencing its benefits. Some of the benefits of taking collagen supplements include: promoting weight loss, builds stronger bones, alleviates inflammation, improves flexibility, speeds up muscle recovery time, prevents heartburn, repairs intestinal lining, contains 18 amino acids and 8 essential amnio acids (imperative to post workout recovery), smoothes cellulite/ stretch marks/ acne scars, reduces wrinkles, hydrates skin, and builds strong hair/ teeth/ nails. 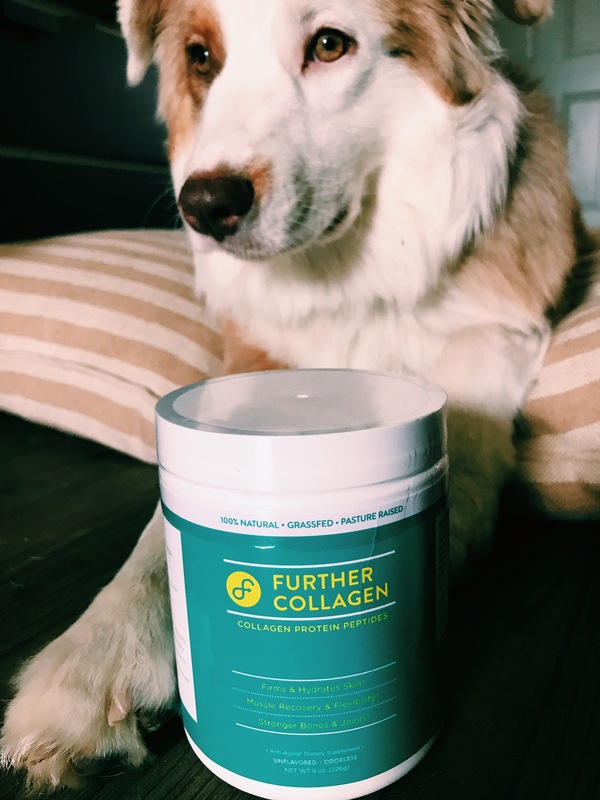 I have finally had the chance to get my own collagen supplements and put it to the test! 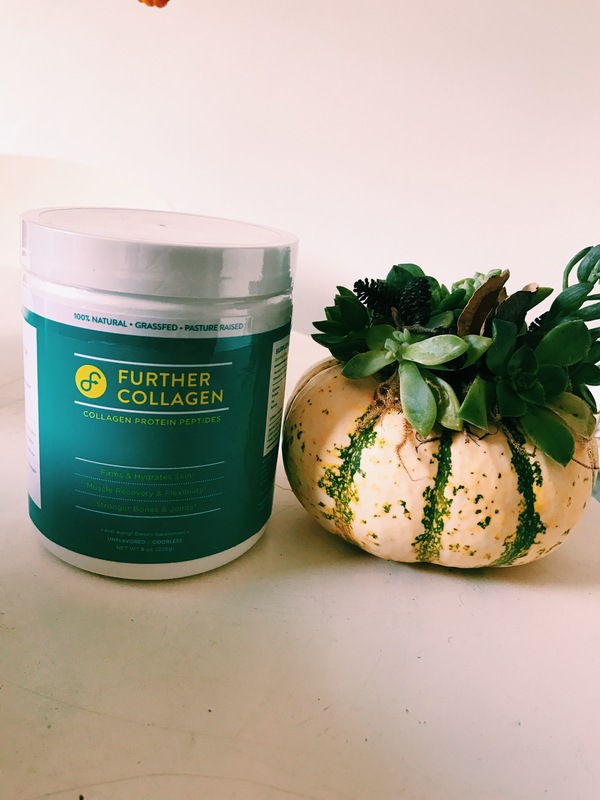 I got my first collagen tub from Further Collagen . The first thing I thought was, “What can I mix this with?” It is a powder form, just like any other protein powder. I always wondered “Does it taste weird? 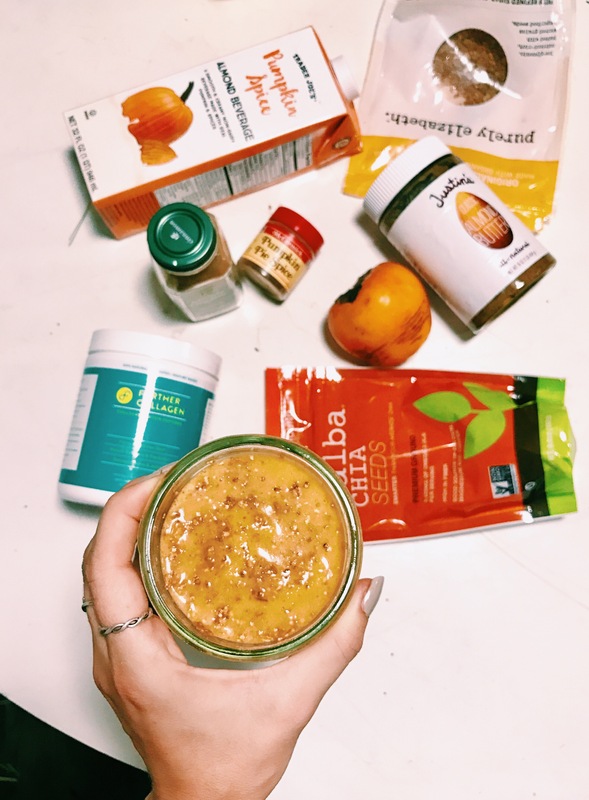 What does collagen powder mix well with?” With these first few questions, I did a little research and looked up what I could mix it with! 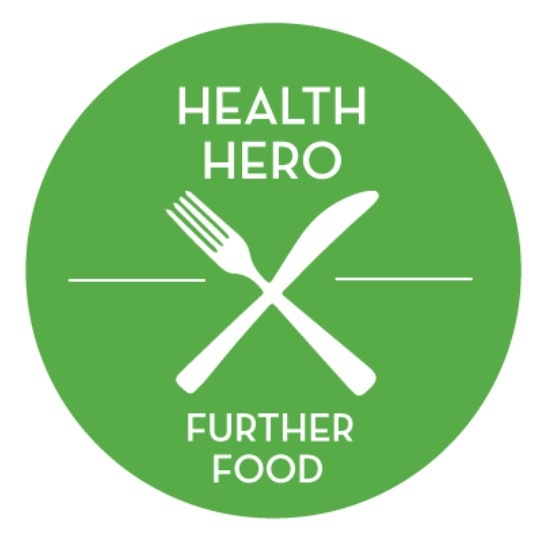 I found some amazing recipes and information about it from the Further Food’s website about their product. To my surprise, you can seriously just mix it into anything, just like you would with other protein powders. 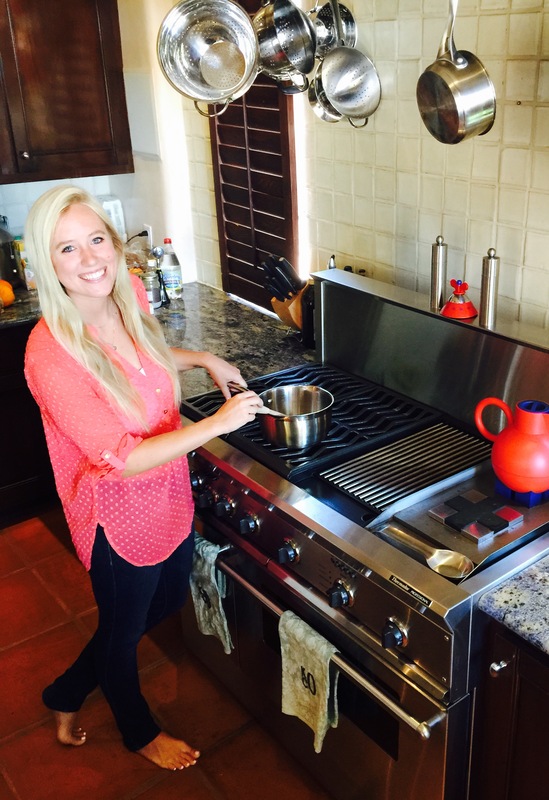 I immediately started to play around with it in the kitchen to try my first collagen experience. Of course my go-to protein mix in is a smoothie. 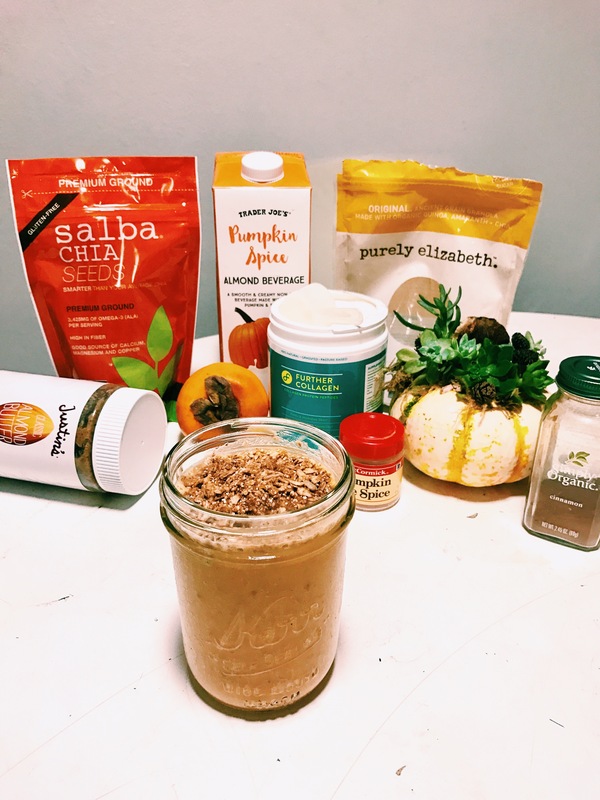 So I whipped it up in a delicious Pumpkin Spice flavored smoothie. It turns out that I don’t even taste it! The best part about it is that it is flavorless, does not have an odor, and does not have a weird gelatin texture. 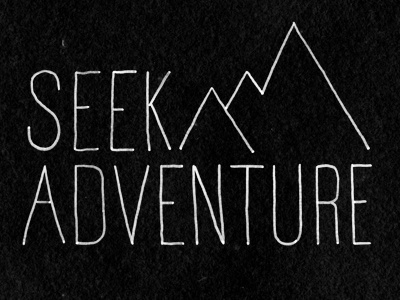 It dissolves well in anything. As I look through Further Food’s recipes with collagen, it makes me realize how versatile it really is! You can mix it and make it into smoothies, soups, puddings, frosting/spreads, cakes, breads, omelets, literally EVERYTHING. Pretty cool! I also love that this Further Collegan is super clean. I like how it is simply just the collagen with nothing else added. It is made with 100% South American Pasture Raised Bovine Hide Collagen Peptides that is grass-fed, pasture-raised, non-GMO, kosher, gluten-free, and paleo. There are only 29 calories, 7g of protein, with 0g sugar, and 0g carbs in one scoop. Seeing that as a Type 1 Diabetic is a plus for me. So it does not affect my blood sugars spiking it with the powder alone. One of the most frustrating things is finding a protein powder (or some kind of supplement) that doesn’t have a whole bunch of added sugar and carbs to make is taste better. When supplements add those sneaky added sugars to just make the supplement taste good, it ends up spiking my blood sugars. So over all, I am quite impressed with my first collagen experience! I can’t wait to make more things with it and incorporate it into more of my recipes!